We are VERY excited to have received this book review from one of our regular visitors to the shop, Isabelle, age 7! 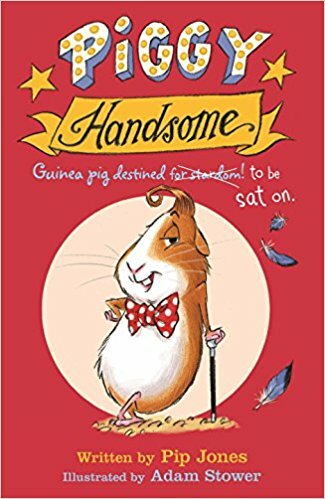 I liked Piggy Handsome because he kept on having tantrums for really silly reasons. It was really funny because Jeff got really calm in a crisis (he was his budgerigar friend).